Reuben counted his ten toes. The man who had healed him must be the Messiah The leprosy was gone, as if the past four years had never happened. 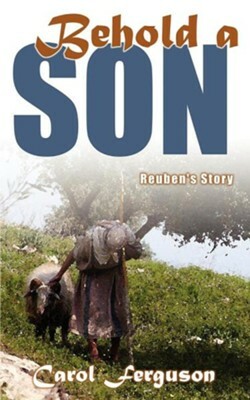 But Reuben was then exiled from home once again, this time because he believed that Jesus was the Messiah. Alone, he roamed around Jerusalem, waiting to observe Passover in the temple. Instead he stood watching as his beloved healer hung on a cross. Maybe he wasn't the Messiah. When Reuben heard Jesus was in Galilee, alive, he went to see for himself. It was then that Reuben began to realize he had seen the sacrifice of the Passover Lamb, just not in the temple. Soon he was adjusting to a new family as well. Should they continue to take part in their High Holy Days where sacrifices continued? It became dangerous to talk about. Then Saul began his ruthless search for anyone who followed this Messiah and Reuben and his new father fled to a cave. What a confusing yet exhilarating time it must have been for the first Christians How did they adjust? Follow young Reuben, healed, excited, yet often confused. I'm the author/artist and I want to review Behold, a Son.